I was so excited to have the guest post from author Heather McCoubrey on why she loves Scrivener and Evernote, because those are probably my two favorite programs, as well. 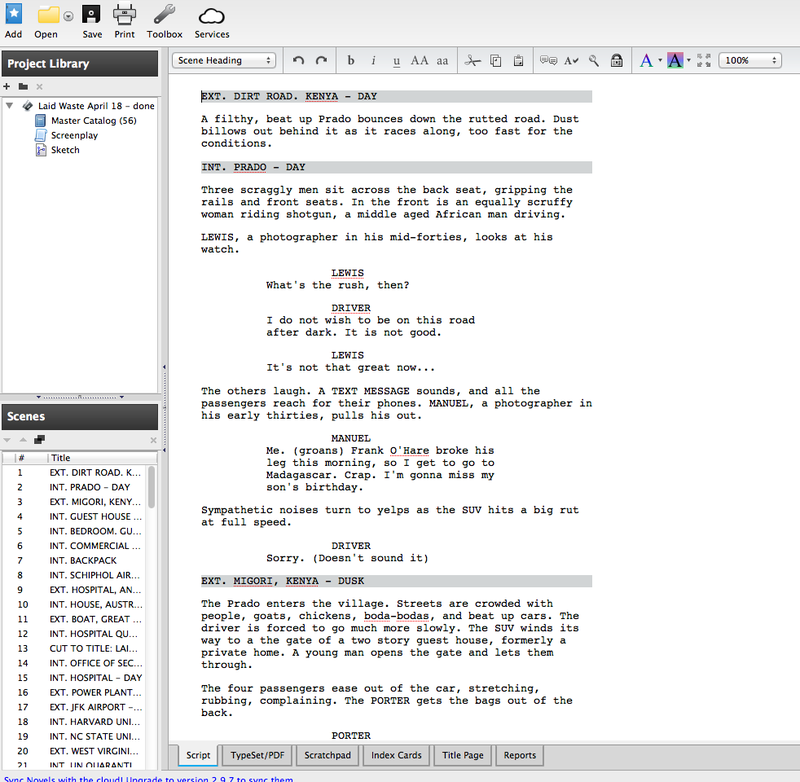 I’ll add Celtx into the mix for screenplays, because I don’t think there’s a better program out there for the screenwriter. Here’s my take on all three. Another thing I liked with Solomon’s Throne is all the things I could do when I was working on characters, plot, names, etc. I’m a very visual person, so the bulletin board/index card layout is a great way to stay organized and keep all my notes in one place. While I use Scrivener a little differently now, because I’ve written almost seven books and I know what works for me and what doesn’t, and am not longer running around in a panic to just WRITE THE DAMN NOVEL, I do use it for my first through third drafts and still love it. 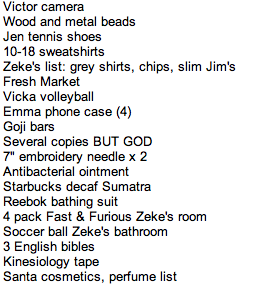 I love that I can easily find things, insert things, edit things, and navigate so effortlessly through my work. Once I’ve done major edits in Scrivener, including printing it out and doing an on-paper edit, I move it to Word to finish it. But I would never, ever write a novel in Word. 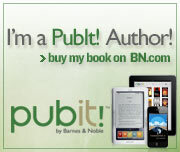 NOTE from experience: My husband wrote his first book in Word. It is nonfiction, and the chapters weren’t linear, meaning he would be moving them around when the book was done. He wrote them in thirty-six separate files in Word, plus another eighteen files of one-liners he was going to intersperse throughout the book. I was the one who was supposed to edit and collate this word. *cue the mad face and angry music* The first thing I did was move everything to Scrivener, where I could at least move the chapters around easily. The one-liners were a nightmare. I made him swear to NEVER, EVER EVER EVER write another book in anything other than Scrivener again. Ever. On pain of a slow, painful death. Save you, your spouse or your editor time and sanity. Use Scrivener! 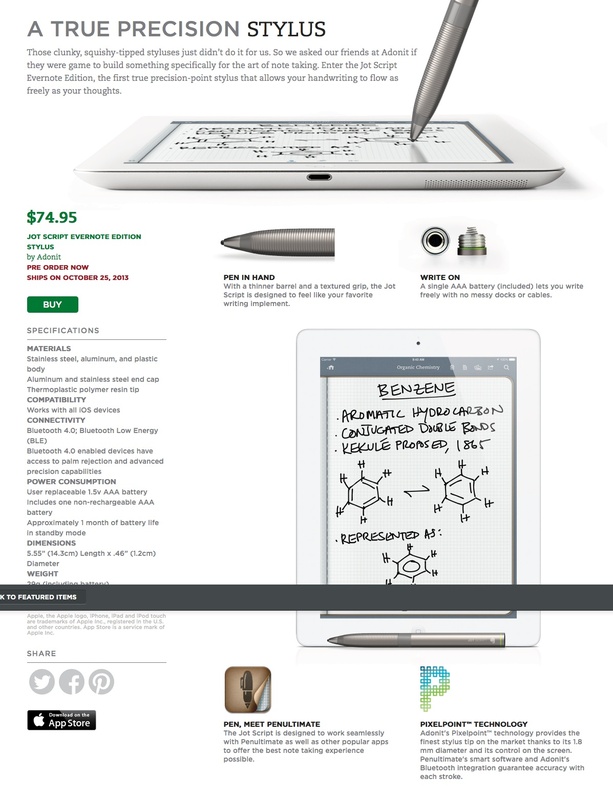 Keep in mind that Evernote is free! 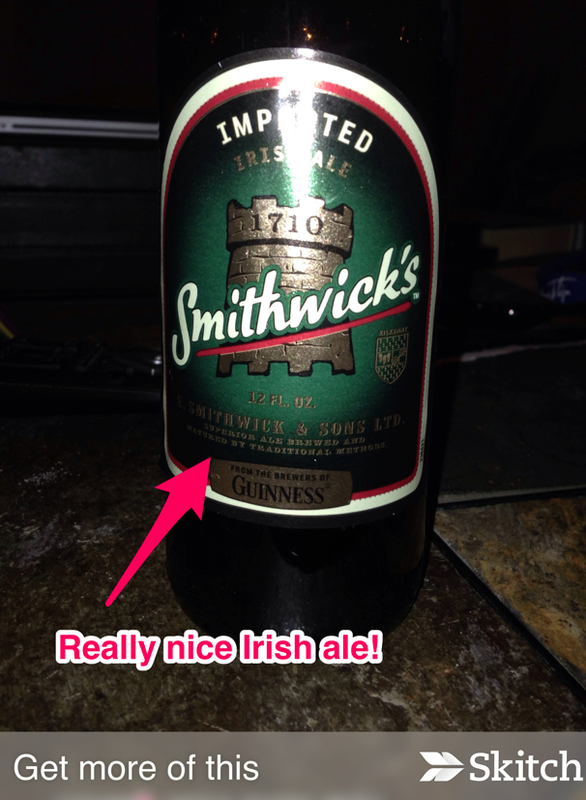 And the ancillary apps, like Skitch, are also free. I use Evernote on my phone for all kinds of lists, which I can then print off from its instant sync with my computer. 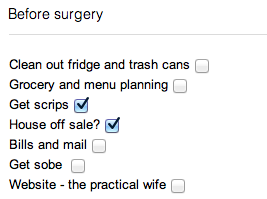 This was especially handy for my Uganda buying-stuff-for-everyone list! I also use it for story ideas, snippets of dialogue I think of, names for future characters, photos (through the companion app Skitch, which allows you to make notes on the photo), and for those to-do lists that I’d normally be scribbling frantically on my ratty yellow legal pad. You can also schedule reminders. See those little check-off boxes?? I love that! I think that’s either an iOS7 update or maybe a Premiere feature, but it is so helpful! There are a lot of things I haven’t used it for yet: trip planning (you can keep your electronic boarding passes in your folder, plus maps, ideas, photos of things to see, weather reports, you name it! ); moving (we’ll be moving soon, and I will be heavily relying on Evernote for that); and a new app called Evernote Eat, which I just got yesterday. It keeps track of food you love in restaurants, recipes, and all things food. I love all things food, so that works for me! Celtx is a truly remarkable screenwriting program. While they do have other modules, such as novel writing, I found Scrivener to be better for that. But for screenplays, I don’t think Celtx can be beat. It’s got desktop, mobile and online workspaces, so you can work in whatever situation you find yourself, period. Second, you can truly collaborate and co-write with someone else, or simply let someone read your work and comment, without giving them the ability to change the original work. Everything is saved and synced and always up to date. Second, it formats everything for you automatically, which saves a TON of time when you’re writing a screenplay. There is a lot more formatting required, and typing it all is tedious. Setting up macros to do it is tedious. With Celtx, you hardly even notice that you have to do it. On the left side, you can see that all the scenes are listed. Celtx does that automatically, so I can go to any of the 138 scenes in the film and see what’s going on very quickly. The grey line demarking the scenes, as with the “Ext. Migori, Kenya – Dusk” are also automatically added. The character names auto-fill once you’ve created them. All of the indentions are done automatically, as well. You can also add photos and notes for each scene, and there’s a scratchpad tab that lets you play around with ideas, either for yourself or your co-writer(s). The comments don’t interfere with the scene, and are great for getting feedback from others. 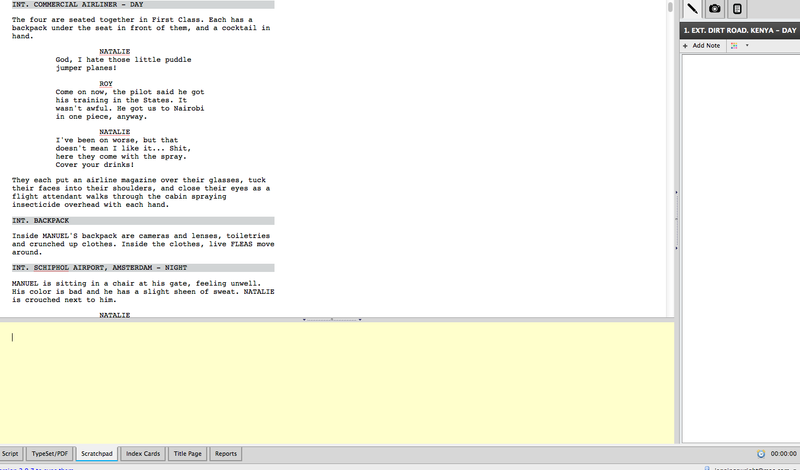 Another awesome feature, if you’re using Celtx to produce your screenplay, is the storyboard. This screenshot is from a sample screenplay called Dirge. Do you see the tabs across the top? That allows you to set your production schedule. If you are a filmmaker, these are incredible tools that are not only at your disposal, but available to anyone on your team to whom you give permission! All three of these programs are well worth your while to get and learn to use. With so many programs and apps available, it’s hard to know exactly how things will work for you, of course, but as far as productivity goes, these are winners! I think you’ll like it. I’m not one that just dove in with both feet and never looked back. I actually wrote myself a list on my mini legal pad this morning while I was journaling, because I didn’t have any technology handy. 🙂 But I’m expanding my use, and think it’ll eventually be pretty indispensable for me. Good luck! A creative writing blog. Simple as that.